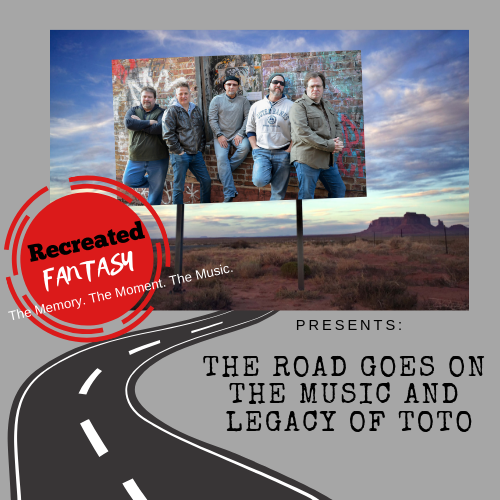 Recreated Fantasy is The Optimum 70's/80's Tribute Band recapturing The Memories, The Moments and The Music somewhere in time reliving the journey full circle. This band is for the music lover in us all. Everyone has a memory and a song that will take you somewhere back in time. Our goal is to relive that moment with you! Come, take a moment and let's relive a few of our favorite memories through this force called music! Our musical story blends rock, acoustic melodies, and electronic to create a unique, diverse sound. The songs are personal and inspired by our own moments, memories and musical journeys. Through a love of music and a passion for creating moments, we share a common thread: To create those memories that will forever be etched in our souls. Although, geographically from the same general area, Dale, Philip, Dana, Ward and Rusty grew up in very different families with eclectic musical influences. Through connected friendships, the guys over the years would perform in several bands where their paths would frequently cross. Now, seasoned musicians from all different paths in the music industry, the band has reunited to begin a new musical journey. Our musical story blends rock, acoustic melodies, and electronic to create a unique, diverse sound. The songs are personal and inspired by our own moments, memories and musical journeys. Through a love of music and a passion for creating moments, we share a common thread: To create those memories that will forever be etched in our souls.